PLEASE JOIN uS FOR SPOT AND STRIPE, AN ART OPENING AND RAFFLE FUNDRAISER FEATURING ARTIST, ANKE FACHMANN. Funds will support saving rainforest in the Guanacaste Conservation Area in Costa Rica, protecting jaguar, spider monkey, morpho butterflies, orchids, ocelots, puma, and precious habitat. 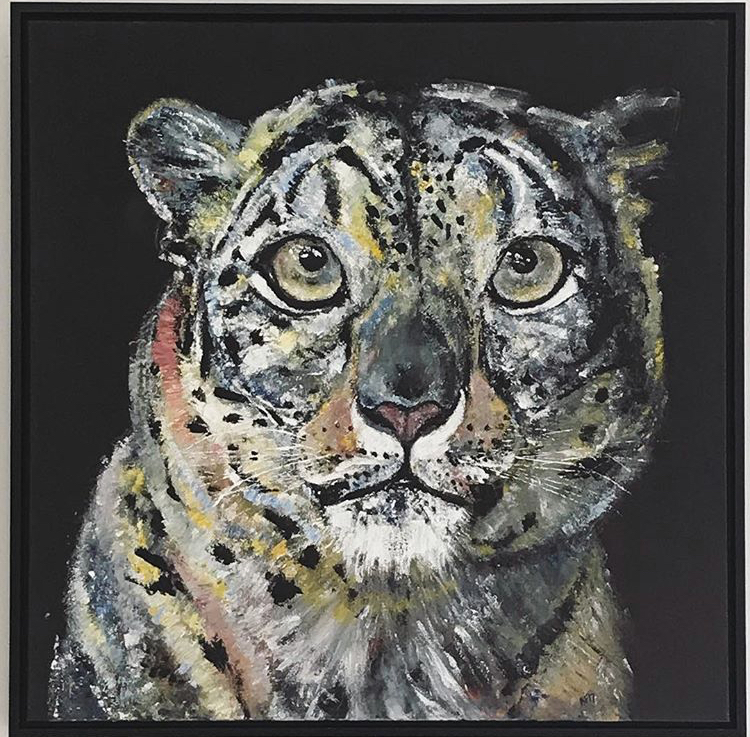 Specializing in finger painting and working with recycled materials such as coffee sleeves, Anke Fachmann portraits animals with the focus on endangered species. She uses this platform to get people inspired to save the planet. Growing up in Germany, amazing artists such as the collective of the “The Bridge” and “The Blue Rider” influenced her work. Color & structure are her tools to tell stories, to give the animals energy and spirited eyes. A passion for art, culture and design lead her to study Graphic Design in college. Anke received the Bachelors in Graphic Design at the Freie Hochschule fuer Grafik-Design & Bildende Kunst in Freiburg, Southern Germany.